Whenever there is a period of economic uncertainty for a country it is bound to cause panic. Can we learn anything from the crisis 10 years back? Is there any way that UK start-ups can take advantage of this economic environment? Dun & Bradstreet has revealed 19% of UK SMEs’ confidence in their future financial success is down compared to 2017. The study found that almost a third (32%) of respondents have considered leaving the UK to increase their chances of success. 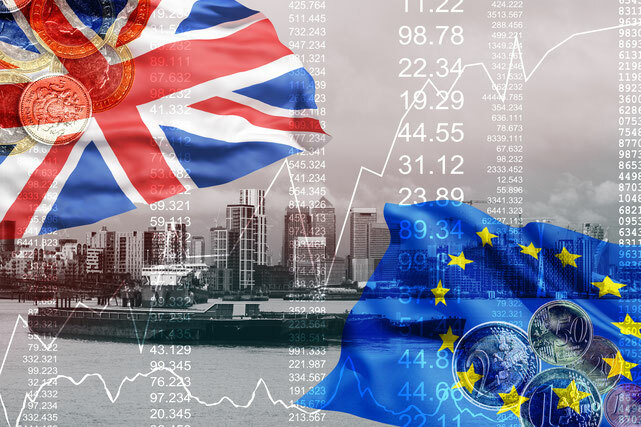 “Given the changing political, regulatory and economic landscape, it’s unsurprising that small business confidence is down,” said Tim Vine, Head of European Trade Credit at Dun & Bradstreet. “There’s no doubt the months ahead will continue to be challenging as we move towards the Brexit deadline. Small business leaders are having to contend with scenario planning on top of dealing with day to day priorities such as cash flow management, late payments and securing finance for future growth. Siddharth Shankar, CEO of Tails Trading, built an innovative solution for UK SMEs to export their goods to Asia. He believes the uncertainty of Brexit, means that it is a great time to start trading further a field. 'The turmoil of Brexit and the period of economic uncertainty it’s precipitating is creating a challenging environment for start-ups. However, it’s important not to panic. Unlike the 2008 financial crisis, the challenges of Brexit can be overcome through a process of resource optimization on an international scale. If start-ups are founded or are open to international trading – to exporting their goods abroad – this will help them grow, despite a weak economic environment in the UK. Many SMEs are looking at markets beyond the EU. Gaining access to booming markets, such as Asia, then incubating the demand from that market, would make it a lot easier for start-ups to step up to the next level in the aftermath of Brexit." Denis Shafranik, Partner at the London-based, early stage venture capital firm, Concentric, believes the positives of Brexit lie in building a new identity for Britain, so long as this is handled delicately. "In the digital age, start-ups can effectively base themselves anywhere, it’s just a question of access to talent and access to capital. On first point, talent these days is fickle and moves around much more easily than before. People want to live somewhere that matches with their outlook and, as a result, societal values and standards of living can make a big difference in attracting the talent needed to build a successful company. Regarding capital, the UK is currently the leader of Europe for start-up investment, but again that can change. Brexit by itself is just one factor, and perhaps not the most important one in itself. Others include political risk, taxation, regulatory environment and ability to attract multinationals." But Start-ups are agile, with fresh enthusiastic talent, start-ups tend to be more dynamic and easily changeable, which worked in favour of start-ups during the last crash, can it work again? Mark Tweed, Chief Financial Officer at Henry Howard Finance thinks start-ups should safeguard against their own susceptibilities during this economic uncertainty period. “The main sectors where I think start-ups should be more prepared are those starting out in retail and construction, as we have already seen the uncertainty Brexit adversely affect businesses in these areas. But all start-ups need to safeguard against their own susceptibilities and unknowns and be very aware of what they are and where they are. Leading business and innovation expert, Erica Wolfe-Murray however, believes Brexit barriers will lead to a few potential brand new opportunities. "Turmoil always generates opportunities. Throughout history we can identify times when wars, sickness and revolution upended everything that was normal, allowing those with the eye for the main chance to develop new ways of thinking and new businesses. The upset in France in the seventeenth century meant that persecuted Huguenots arrived in Smithfield, where they plied their skilled silk weaving trade to an eager market. If your start-up is mining a deep but global niche, it could face interruption from the new trading rules that will come into force. Are there revenues to be found in horizontal, rather than vertical models? Some companies who may have been looking to trade with Europe relying on the import/export of materials and goods, will need to rethink the innate value in their offer. It could be the knowledge that goes into what they are intending to do is as valuable as the products themselves. Selling this knowledge could be an interesting new revenue model post Brexit. The back-stop position between Northern Ireland and the south means that many companies in the former could potentially find themselves in a unique position – similar to where Hong Kong used to be. A small location with a mighty market on its doorstep that puts it in a preferential trading position is ripe for all sorts of entrepreneurial talent to exploit." Germany are not going to stop selling cars, beer or holidays, nor is France going to stop all UK sales of wine, cheese and perfume, and in return the people of other countries are not going to stop buying British produce, services or inventions. It is not in their economic interest as much as it is not in ours. The generations who have only known life in Europe the European Union are scared and sceptical, just like Columbus sailing for unknown lands, but the world would be much worse off, if he had not done so. Before joining the EU us Brits travelled, lived in other countries and consumed foreign imports, just as all the other countries did. Change is part of life, adapting is part of evolution and no matter what - we will survive, we will continue to trade and travel. In fact other markets will open, opportunities will come knocking and life will go on. We as the general public have to live with the decisions others make, that is the way democracy works, but every democratic country lives and develops a lot better than any dictatorship, we have a resilient and very able country, with very resilient and able inhabitants, who will make a go of whatever comes along, then that will become “normal”.